B.) 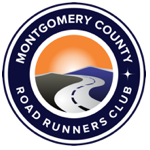 SATURDAY morning, May 11th from 7:30 am – 8:30 am – at the race site, Park Pavilion in Bohrer Park. Numbers cannot be mailed after the race. Please note that this event is non refundable (e.g. in the unfortunate event it’s cancelled or shortened due to weather). This event benefits the Dolores Swoyer Scholarship Fund. MCRRC will donate $1.25 for every child registered to the Scholarship Fund. Please consider making an additional donation during the registration process, help send a Gaithersburg child to camp this summer. Ms. Swoyer served on the Gaithersburg Planning commission for 17 years. Appointed June 5, 1978, Swoyer also served as Commission Chair from 1986 until 1993. During her tenure, Swoyer gave numerous hours and carefully examined the plans of many major developments in the City. A new era of planning charrettes and mixed use zoning led to the trend in neo-traditional neighborhoods in Gaithersburg during this time. Additionally, Swoyer, along with her family, worked with the City’s Recreation Department and assisted with the 1977 master plan for recreation. Because of the Swoyer family’s involvement with recreation programs, the Dolores C. Swoyer Camp Scholarship Fund was established in loving memory of their daughter. Under this program, camp scholarships are offered to needy children who live within the corporate limits of the City. For Further Information email the race director.